Zimbabwe has banned importation of cold meats into the country mainly from South Africa following an outbreak of a bacteria, Listeria, which causes food borne disease. 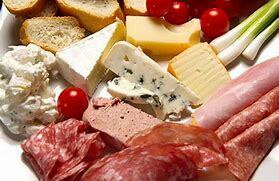 Listeria has been traced to cold meats. In a statement released Monday, permanent secretary for Health and Child Care, Dr Gerald Gwinji, said Zimbabwe had not yet recorded any cases of Listeria, but had since activated its surveillance teams to monitor importation of such products into the country. "What makes this outbreak significant for us is that we do import quite significant food items, particularly cold processed foods into Zimbabwe from South Africa," he said. "They have identified a specific company in Polokwane called Enterprise Tag Brands which makes a lot of these cold processed foods." Dr Gwinji said Government had tightened food surveillance at border posts. "What we have done as a country is tightening our food surveillance at border posts" he said. "We are still to discover any batches of the food items in question, but the fact that South Africa has recalled specific products it means that the products might no longer be on the market. "However, we continue to increase our surveillance at the border posts and should products be found at the borders we advise our border control officers to confiscate, quarantine and send for destruction. Until we are clear that the outbreak is under control and that the specified food production plant is certified free from the infection we will not allow any of those products to come into the country." The outbreak, which started on January 13, has so far claimed 162 lives, 43 percent of which are infants. Listeriosis is a rare food borne disease found in 10 cases per one million people and is spread from consumption of foods that are contaminated by the bacteria Listeria monocytogenes. These high risk foods include ready-to-eat meat products such as cooked, cured and or fermented meats and sausages, soft cheeses and cold smoked fishery products and dairy products made of unpasteurised milk. When one is infected, the disease takes a few days to about two weeks to start showing to those affected. Pregnant women, infants, the elderly and those with suppressed immune system are at risk of getting the disease. Signs and symptoms of the disease include diarrhoea, high fever of about 38 degrees, headache, myalgia (muscle pain), and other complications such as septicaemia and meningitis. People can avoid contracting the diseases by practising good personal hygiene, washing hands at all times before eating and handling foods or after using the toilet.